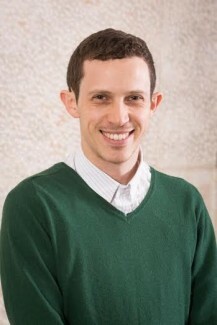 Yonatan Arnon, originally from Jerusalem, Israel is a Jewish & Israeli educator and serves as the Jewish Agency Israel fellow at Columbia/ Barnard Hillel. Yonatan holds a B.A in Jewish philosophy and theater studies and a group facilitation certificate. Yonatan has a wide range of experience in the informal experiential education field. Benjamin Chaidell is a third year rabbinical student at the Jewish Theological Seminary, having just returned from a year of study in Israel. In addition to his studies, Ben is passionate about Jewish education, Israel, and his local community. He currently leads children’s services at the Fort Tryon Jewish Center and volunteers visiting a senior citizen in the community. Before JTS he served as an Education Fellow at the Goldring/Woldenberg Institute of Southern Jewish Life (ISJL). In this position he traveled the South empowering congregations to teach the ISJL’s innovative religious school curriculum. Benjamin graduated from Yale College in May 2011, where he majored in religious studies and co-ran the student Conservative Minyan on campus. 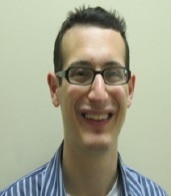 Ben enjoys music, air hockey, Shabbat meals, and exploring the city in which he lives. 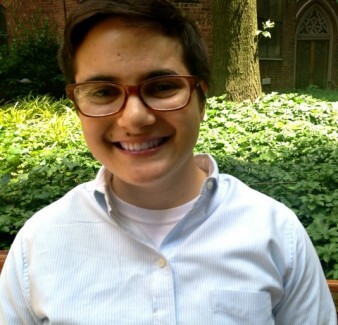 Samantha Frank is a second year Rabbinical student at Hebrew Union College-Jewish Institute of Religion. She was born and raised in Silver Spring, MD where her Jewish community nurtured her value of working to achieve social justice and correcting social injustice. She attended Tufts University, where she studied community health and French. Samantha interned at IMPACT Silver Spring, bringing neighbors together to support one another through difficult economic times, and worked on campus to create spaces for students to talk about racial issues on campus. Samantha initially pursued a career in public health policy, focused on adolescent mental health, before turning to the Rabbinate. She is committed to dialogue as a force for healing and community growth. Matt is a third-year rabbinical student at Hebrew Union College-Jewish Institute of Religion, where he is a Tisch Fellow. He is the Rabbinic Intern at Congregation Beth Elohim in Park Slope, in which role he is also the director of the Brooklyn Jews community. Matt received his BA in History from the University of Michigan, and continued on as a Berman Fellow at Michigan Hillel after graduation. 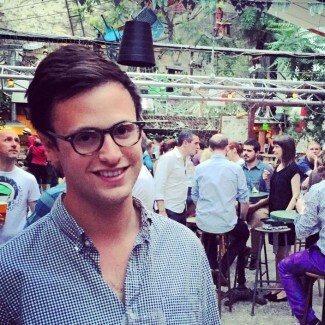 In 2015, Matt won the Be Wise entrepreneurship competition at HUC-JIR for his project, the Grindr Shabbat Initiative, wherein he applied geolocation technology towards creating a unique LGBTQ Shabbat community in Brooklyn. Katie Greenberg is a fourth year rabbinical student at the Jewish Theological Seminary where she is pursuing her masters in education and a certificate in Clinical Pastoral Education. A native New Yorker, she graduated from Oberlin College with a degree in Jewish History and Environmental studies. She recently returned from three years living in Israel where she studied at Pardes Institute for Jewish Studies and worked at the Israel Religious Action on issues of pluralism and anti-discrimination in Israeli society. In rabbinical school Katie has worked as the program coordinator for the Milstein Center for interreligious dialogue, the Gabbi of the Women’s League Seminary synagogue at JTS, the rabbinic intern at Rutgers Hillel, a student chaplain for two summers at Self Help visiting holocaust survivors and this summer at the Allen Pavilion Hospital in Manhattan. 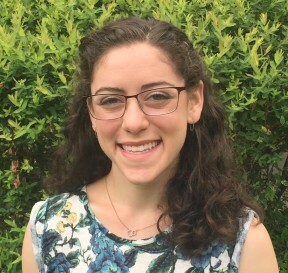 This year Katie is the rabbinic intern working with the Director of congregational learning at Temple Israel Center where she is teaching a social justice class to teenagers and teaching adult education classes to the staff and the congregation. Katie was the rabbinic intern at Beit Rayim in Toronto for the High Holidays where she led innovative family services for 200 people. She is currently serving as the president of the Rabbinical student organization working with the administration to build community and help students with issues such as better access to health care and a process for taking family leave. Andy Kahn, a second-year rabbinical student at HUC-JIR, was born in Birmingham, AL, but grew up in Tacoma, WA. During his senior year of high school, he attended Alexander Muss High School in Israel, and then went on to major in Religious Studies focused on the Tanach at Kenyon College in Ohio. He attended both Ben Gurion University in Beer Sheva and Hebrew University in Jerusalem. His interest in the academic study of religion led him to earn an M.A. in Religion in Modernity at at Queen’s University in Kingston, Ontario, in 2007, and an M.A. in Hebrew Bible and Near Eastern Languages at The Jewish Theological Seminary in 2011. 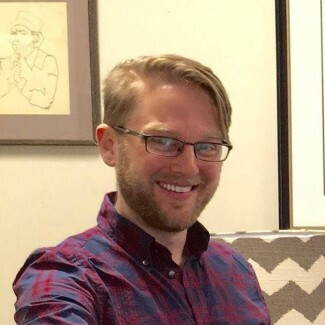 Upon graduation from The Jewish Theological Seminary, Andy began working at Central Synagogue in Manhattan as a Religious School Educator, creating new and innovative curricula in Jewish Studies and Hebrew for grades 3-9. He also led adult education classes at Central Synagogue in Manhattan on Tanach and various other Jewish subjects. In 2011, Andy began volunteering to teach classes at Footsteps, an organization in New York City devoted to helping those seeking to enter or explore the world beyond the insular ultra-religious communities in which they were raised. 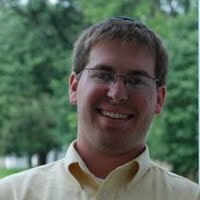 Andy currently works at the Central Conference of American Rabbis Press while also serving as student rabbi at Temple Beth Ha-Sholom in Williamsport, PA.
Hillel Konigsburg is a senior rabbinical student at the Jewish Theological Seminary, and a graduating MA student in Jewish Education from the William Davidson Graduate School at JTS. Hillel received a BA in Sociology from Columbia University and a BA in Jewish History from Albert A. List College in New York. This year, Hillel works as a Educational Leadership Intern at the Solomon Schechter school of Manhattan. Hillel has also worked as the Rabbinic Intern at the Orangetown Jewish Center, as well as the Pastoral Care Intern at DOROT. When not learning or teaching, Hillel enjoys exploring NYC with his wife, and playing board games with friends. Daniel Novick is in his fourth year studying at the Rabbinical School of the Jewish Theological Seminary. After attending the University of Virginia where he received a degree in Commerce with concentrations in marketing and management, Daniel enrolled in rabbinical school with the desire to integrate his passions for Judaism, marketing, and music to inspire Jewish communities. Born and raised in Herndon, Virginia at Congregation Beth Emeth, Daniel was (and still is!) quite active in United Synagogue Youth (USY). A past international and regional officer of USY, Daniel spent 6 wonderful summers with USY as a participant on USY on Wheels and USY Israel Pilgrimage; a staff member on USY on Wheels; and a Group Leader for USY on Wheels. 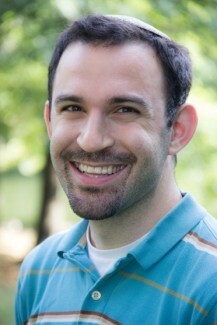 Daniel continues to serve as an educator and musical specialist for USY. Daniel has worked for the past six years as a musician-in-residence at USY’s International Convention, leading ruach, song sessions, and musical tefillot. 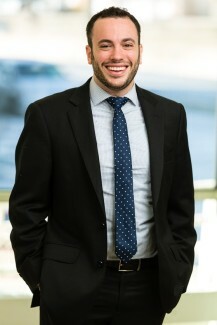 In addition to his work with USY, Daniel has served as the Youth Director at Sutton Place Synagogue, the Student Rabbi at the University of Hartford Hillel and the Emanuel Synagogue in West Hartford, CT and is currently a rabbinical intern at Temple Sholom in Greenwich, CT.
Louis is a third-year rabbinical student at the Jewish Theological Seminary. Louis grew up in New Haven, Connecticut, and graduated from Brandeis University in 2012 where he studied Classical Languages, Near Eastern and Judaic Studies, and Music. Louis is a proud alumnus of the Conservative Yeshiva, Yeshivat Hadar, and Brandeis’ co-ed Jewish a cappella Group, Manginah. Louis has worked as a songleader, Jewish educator, and music teacher in a wide variety of synagogues, educational programs, and camps from Boston to NYC. Louis enjoys live music (especially klezmer, jazz, and punk rock), jamming in Freygish mode, and exploring New York City. As he once told participants at BIMA (the Brandeis Institute for Music and Art), he hopes to be a punk rock star, archaeologist, and/or rabbi when he grows up. 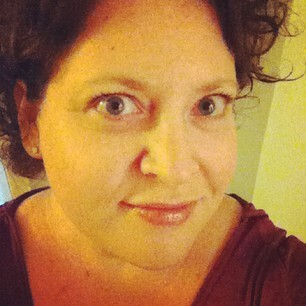 Jenn is a second year rabbinical student at the Hebrew Union College-Jewish Institute of Religion (HUC-JIR). She is a graduate of Indiana University-Bloomington (2009) where she earned Bachelor of Arts degrees in modern Jewish philosophy and thought, and “The Applied Health and Social Science of Sexuality” through the College of Arts and Sciences Individualized Major Program, and an alumna of the George Washington University where she earned a Master of Public Health degree (2012). Before beginning on her rabbinical path, Jenn served as the Field Organizing Manager for the Religious Coalition for Reproductive Choice (RCRC) in Washington, DC, and was a member of the 2013-2014 cohort of the Jews United for Justice Jeremiah Fellowship. When she is not in school, Jenn teaches 3rd and 6th grade religious school at Temple Shaaray Tefilah, and enjoys spending time with her pitbull mix, Bruin. Jade Sank is a third year rabbinical student at HUC-JIR. Jade grew up in Kinnelon, New Jersey and at Barnert Temple in Franklin Lakes, New Jersey. She graduated in 2012 from Brandeis University with her BA in Anthropology and International and Global Studies. Jade is currently living in Park Slope, Brooklyn, serving as the student rabbi at the North Fork Reform Synagogue on Long Island, coordinating seventh grade at Congregation Beth Elohim in Brooklyn, and teaching an online fifth grade religious school class through Shalom Learning. 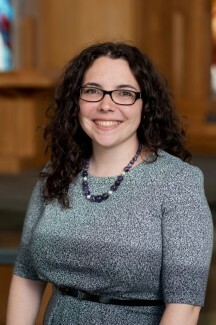 Amanda Schwartz is a rabbinical student (soon to be rabbi) at JTS. She completed her masters in educational leadership through the Davidson school and is deeply passionate about fostering a passionate, empowered, inclusive and Jewishly literate Liberal Jewish community. She has learned a great deal from working in a variety of Jewish organizations across the denominational spectrum including Jewish Mosaic, B’nai Jeshurun, and the JCC in Manhattan. She currently lives in Harlem with her family but looks forward to moving this summer to Denver, her hometown. Sara Shapiro-Plevan, a doctoral candidate in the Davidson School at JTS and the founder of Rimonim Consulting, is all about relationships. Her essential focus: understanding the way relationships influence the ability to improve our practice, shape our work, and engage effectively with others. 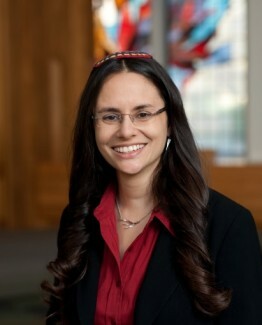 Sara has served as a faculty member in the Davidson School, where she prepared graduate students to take leadership roles in the field as a part of the redesigned Educational Leadership in Congregational and Communal Settings practicum, and taught the core course in basic pedagogy to students in the Davidson, Cantorial and Rabbinical Schools. As a part of her work at JTS, she worked closely with mentors who are veteran congregational and communal educators, and supported their ongoing learning through their service and continued professional learning. Previously, Sara served as a consultant for the Board of Jewish Education NY-SAJES, (now The Jewish Education Project) working directly with congregational educators in the greater New York area to build strong collegial networks, improve practice and cultivate leadership. She has served as director of education and as assistant director of education in three Manhattan congregations, and has served as the director of professional development for the METNY region of USCJ, where she developed professional learning programs for teachers in congregational schools. In addition to her consultations for congregations in the New York area, Sara has partnered with congregations across the country to reimagine their model, build new governance structures and align curriculum with vision. 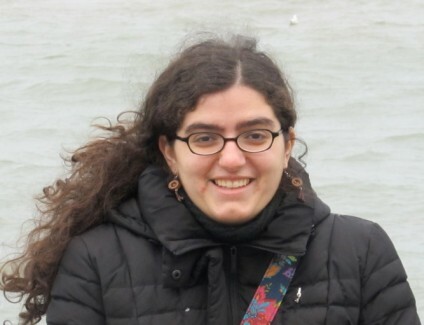 Sara holds a BA in Near Eastern and Judaic Studies from Brandeis University, an MA in Jewish Education from JTS, and was a fellow in the Senior Educators’ Program at the Melton Centre at Hebrew University. She currently serves on the board of the Jewish Educators’ Assembly and the board of the Network for Research in Jewish Education. 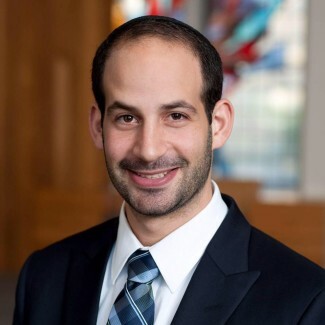 Rabbi Zach Sitkin is currently serving as Rabbi at Congregation Eitz Chaim in Monroe, NY. Born and raised in Philadelphia, PA, he received dual Bachelors degrees in both Psychology and Religious Studies at the University of Pittsburgh. Rabbi Sitkin is currently in his final year at the Jewish Theological Seminary in New York City and will earn his Rabbinic Ordination along with a Master’s degree in Talmud and Rabbinic Literature this upcoming spring. 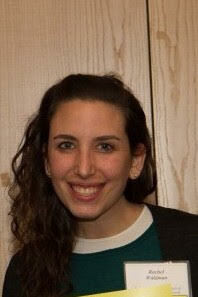 Rabbi Sitkin previously served as the Rabbinic Intern at the Pelham Jewish Center in Pelham Manor, NY and as the Robert Kraft Rabbinic Fellow at the Columbia/Barnard Hillel in Manhattan. When not learning Torah (yes, he really does that for fun! ), you can find Rabbi Sitkin shooting hoops on the basketball court, watching movies, singing, or taking advantage of the sights and attractions of New York City. Rabbi Sitkin and his wife, Lisa, live in Manhattan. Originally from New City, NY, Jordan Soffer graduated from Reuben Gittelman Hebrew Day School, and Solomon Schechter School of Westchester. A proud Badger, Jordan attended college at the University of Wisconsin, in Madison, where he studied Religion and Jewish Studies. Upon graduation, Jordan studied at Yeshivat Maaleh Gilboa, Mechon Pardes, and Yeshivat Hadar. Jordan has worked and interned at Ramah Day Camp in Nyack, Kinneret Day School, Heschel Middle School, Congregation Orach Chaim and the Hebrew Institute in White Plains. Jordan is currently completing a masters in education at Yeshiva University. Next year, Jordan is extremely excited to join the staff at Carmel Academy, where he will serve as rabbi in residence. Jordan is a big sports fan, loves cooking (he is a talmid of the Joy of Kosher), and loves traveling (he has visited approximately 20 different countries). Laynie is the Youth & Family Community Organizer at the Fort Tryon Jewish Center, an independent traditional egalitarian community in Washington Heights-Inwood, NYC and is pursuing an M.A. in Talmud and Jewish Education at the Jewish Theological Seminary. Laynie has spent several years learning Torah at various programs including The Pardes Institute of Jewish Studies and Yeshivat Hadar, where they served as an Education Fellow. Laynie has enjoyed being an educator in a wide array of Jewish settings including day school, synagogues, and camp, and loves bringing dynamic experiences of Jewish life and learning to students of all ages. When not in shul or learning Talmud, you can find Laynie reading about Liberation Theology and trying to use every vegetable in their CSA. Rachel currently resides in Washington Heights, and serves as Vice President of Mount Sinai Jewish Center, where she creates, organizes, and runs programs. She is passionate about fostering a warm, welcoming community that is inviting and meaningful, and has spent much time focused on filling the gaps and creating space for dialogue. Prior to becoming VP, she served as chair of community Outreach, where she organized community service programs, including many programs for seniors. From a young age, she was passionate about communal work, and volunteered in many capacities. 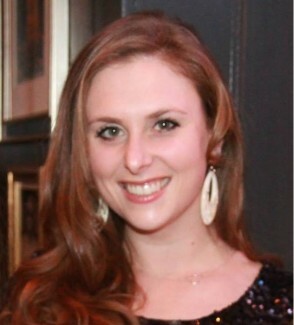 After spending a year and a half studying in Israel, Rachel studied at Stern College and then completed her Master’s in Speech and Language Pathology. During that time, she started learning programs, taught in various communities, and volunteered throughout NYC. 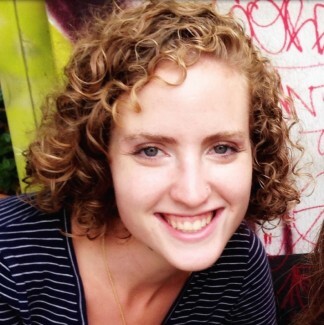 For the past 3 years, she served as a JLIC educator at the NYU Hillel, where she connected with students, ran meaningful programs, and learned and taught Torah and related topics. When she is not involved in Jewish communal work, she works as a Language Specialist in a school. Raysh Weiss holds a PhD in Comparative Literature and Cultural Studies from the University of Minnesota and is currently in her final year of Rabbinical School at the Jewish Theological Seminary. She is the founder and director of YentaNet, a pluralistic matchmaking organization, currently serves on the Board of Directors of T’ruah, and is a co-editor of the progressive Jewish blog www.jewschool.com.